Have you ever noticed how our dogs stretch when they first wake up, or they twist their bodies into the oddest positions while upside down on the floor? Or, how they will stretch out their legs and back before they get out of bed. 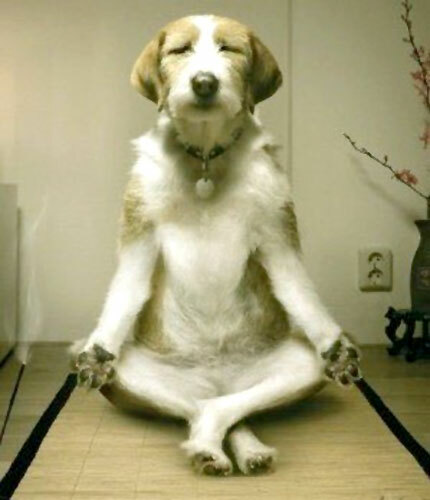 If only we were as smart as dogs! 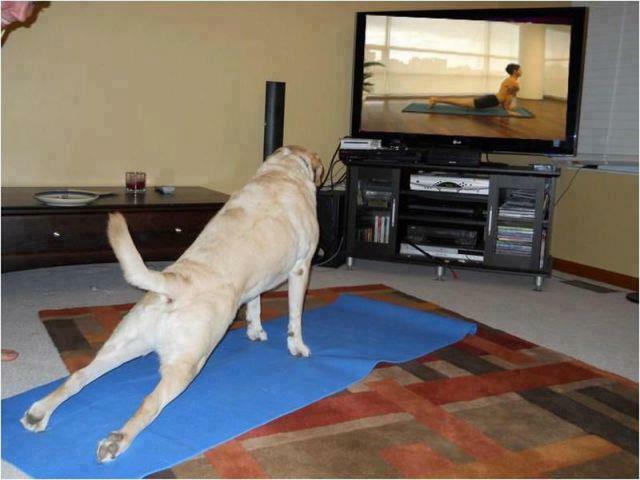 Stretching comes natural to furry friends. However, we humans often need a little reminder. Unfortunately, it often comes in the form of an injury and a doctor’s orders. Sometimes we are so bad at it, we have to actually go to a class that forces us to stretch, bend and move – or we won’t do it at all. If we watch out dog, we could learn a little something. 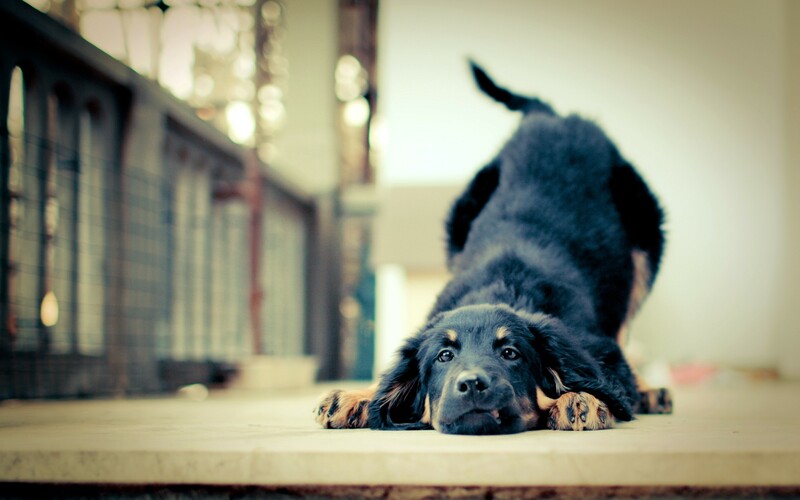 5 great dog stretches you should do too. Click on the exercise for video instruction. 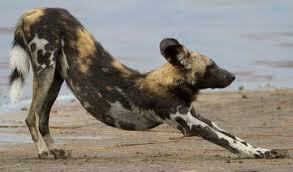 Stretches the low back, abdominals, hips, pelvis and tops of feet, while strengthen in your chest and arms. Stretches the inner thighs and helps prevent groin injuries as well as improve athletic performance and mobility with even simple tasks like walking, swimming and running. This exercise stretches the back of thighs and helps improve posture due to tight leg muscles. Often times when the back of the thighs are tight, we bend with our back to enable us to reach for the floor, or for something as simple as reaching for the gas pedal. Flexible hamstrings allow us to bend safely from the hips, so we don’t compromise our back. This therapeutic stretch is a staple exercise given to many patients in physical therapy to loosen the lower back and hips. Downward facing dog is an excellent core exercise that stretches the hamstrings, calves and achilles, as well as challenging the core and arms. 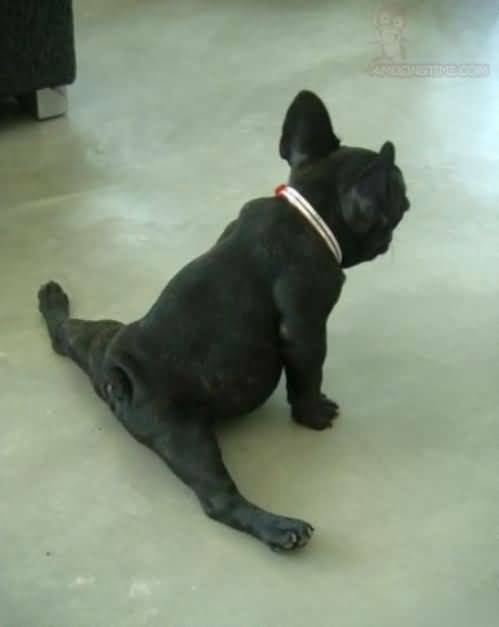 The key is to keep your heels pressed down to the ground and your back nice and straight so you are in a perfect upside down V.
Do you have a favorite dog stretch or dog stretching picture? TV Has Gone to the Dogs!